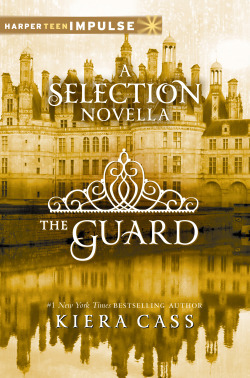 -The long awaited novella from Aspen’s point of view, The Guard. -The Prince. But not just any old version. An extended version. You heard me! -A Q&A with me. I’m Kiera. I wrote the books. 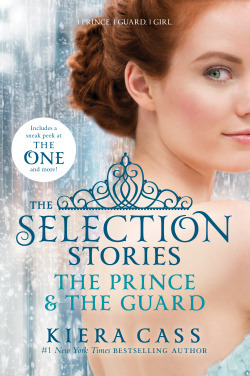 -The playlist for The Selection, along with where lyrics tie into lines from the book. -The same thing for The Elite’s playlist. -America, Aspen, and Maxon’s family trees with some bonus details to explain their families. -And, of course, the first three chapters of The One! Now, if you’ve already purchased The Prince, and you don’t want all that extra stuff, you can still order the ebook of The Guard and receive the first two chapters of The One with that. Either way, awesome things are coming this year. Trust me when I say, this is only the cake. The frosting has yet to come. And there will be sprinkles eventually. Trust. Both go on sale February 4th! FOLLOW UP: There were several questions raised about content, where to pre-order, and a few other things. I did a blog post to clear things up. Please leave any new questions there, and I'll add on!